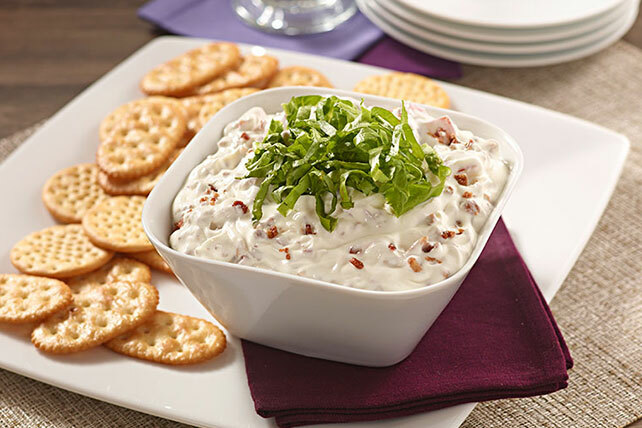 Combining sour cream and mayo with the famous trio results in a BLT spread that is sure to make you the star of the potluck. Mix sour cream and mayo in medium serving bowl until blended. Stir in bacon and tomatoes; top with lettuce. Substitute 1 pkg. (2.8 oz.) OSCAR MAYER Real Bacon Recipe Pieces or 1 pkg. (3 oz.) OSCAR MAYER Real Bacon Bits for the cooked and crumbled bacon.